We’re delighted to learn that following the recent visit by the Flying Scotsman, steam trains are returning to the Edinburgh – Borders Waverley Route on Sundays during August and September this year. The Borders Railway is the longest new domestic railway to be built in the UK for over 100 years, taking you through 30 miles of beautiful scenery between The Scottish Borders, Midlothian and Edinburgh. Running every day, the train links Edinburgh and Galashiels where you can transfer to the bus to visit Jedburgh, only a few miles away. Why not book an overnight stay and make the most of your trip? Borders Railway tickets can be purchased online from the Scot Rail website or at ticket machines located at stations (card payments only). 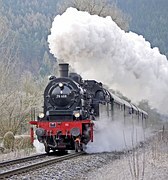 Looking forward to you coming down the tracks!! Get ready for Riverside Rock! 2016 sees the third year of this annual Live Music and Family Event taking place on Saturday 18th June at the Jed-Forest RFC, Riverside Park. Another great line-up of live rock and traditional musical entertainment awaits, with lots of other entertainment too including: Funfair rides; inflatable laserquest and a climbing wall*. *Family fun activities free for under 18′s from 12pm till 6pm on the day. Visit the Riverside Rock website for further information and to book tickets. A shout out to all whisky lovers on World Whisky Day. People mostly think of the Highlands and Islands of Scotland as the home of Scotch Whisky, but there are a growing number of distilleries in the Scottish lowlands and our exciting news is that the Scottish Borders will soon be home to three new whisky distilleries including one at Jedburgh and another at nearby Hawick. While we await the new distilleries, if you’re visiting us in Jedburgh and travelling towards Edinburgh, why not take a short detour off the A68 to visit the Glenkinchie Distillery near Pencaitland? In the Glenbank’s lounge bar, Glenkinchie (affectionately known as ‘The Edinburgh Malt’) is one of the selection of malt whiskies available to be enjoyed by our visitors. Our national team may not currently be playing at its best, but rugby is still loved in Scotland and nowhere more so than here in the Borders. A key aspect of this vibrant rugby heritage is the annual King of the Sevens tournament, kicking off in Galashiels on 5 April and finishing with the Jed-Forest 7s here in Jedburgh on 16 May. If you are a rugby fan, why not visit the borders for this fun tournament? 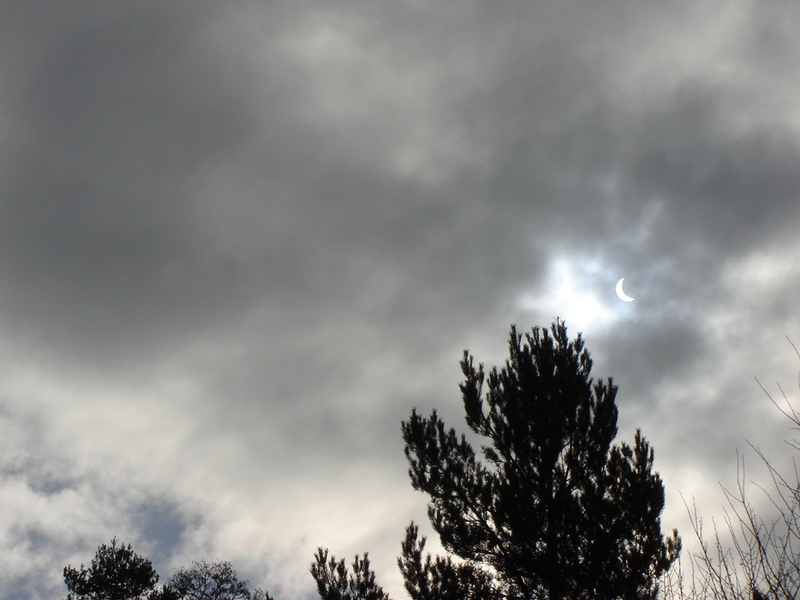 Unlike many parts of the UK, we were very fortunate yesterday and managed to observe the rare phenomenon of a near total eclipse of the sun (95%). What a wonderful event in 2015, International Year of Light. Did you know that the Scottish Borders has great skies for stargazing? With very little light pollution, we often have great visibility for our night skies. 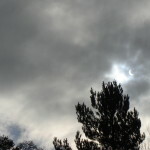 We will be able to see some partial eclipses again in the UK over the next decade, with the biggest coming in 2026, but a total eclipse isn’t due until the end of the century. A recently discovered Sherlock Holmes story is on display in Selkirk until 1 March 2015. The tale, entitled, ‘Sherlock Homes: Discovering the Border Burghs and, by deduction, the Brig Bazaar’ was written by Sir Arthur Conan Doyle in 1904 to raise money for a bridge in Selkirk. In the story, Holmes deduces that Watson is going on a trip to Selkirk. The Sherlock Holmes story formed part of a booklet, printed and sold in aid of raising funds to replace a bridge over the Ettrick river that had been destroyed by floods in 1902. The booklet is on display at the Pop Up Museum Exhibition at the former Cross Keys pub in the Market Place at Selkirk – open daily between 10am and 4pm until Sunday 1 March. Going to Kelso Races this weekend? Need accommodation? Located only 20 minutes (approx. 11 miles) from Kelso racecourse, the Glenbank House Hotel is perfectly located if you are travelling to the area to enjoy ‘The Sport of Kings ‘. 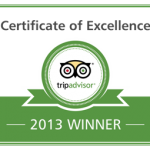 At the Glenbank, we are delighted to have won Tripadvisor’s Certificate of Excellence for the second year in a row. A massive thank you to all of our guests who have provided feedback either directly to us, or through Tripadvisor or any of our booking partners. It’s great to know that so many of you have enjoyed your stay with us. We take all of your comments on board and where we can, we try to make improvements. Keep providing us with your feedback! Did you realise that today is a day of celebration for the ‘water of life’ we all know as Scotch whisky? In the Glenbank’s lounge bar, we always have a selection of malt whiskies available to be enjoyed by our visitors. With Jedburgh being the first town in the Scottish Borders if travelling on the A68, we are often the first stopping point on Scottish soil for our international visitors. 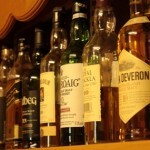 And one of the experiences many look forward to is a dram or two of malt whisky. An alternative for those wishing to experience Scotch whisky is offered via our evening meal menu options which include haggis with whisky sauce as a starter and the delicious cranachan for dessert (a sumptuous mix of oats, cream, whisky, honey and raspberries). For anyone wishing to discover more about whisky, the Glenkinchie distillery in Pencaitland is only an hour away and offers a year round attraction rated 5 stars by Visit Scotland. So you can try some Glenkinchie malt whisky (affectionately known as ‘The Edinburgh Malt’) at the Glenbank Hotel the evening you arrive in Jedburgh, then after a good night’s sleep and a hearty Scottish breakfast, head north from the Scottish Borders into East Lothian to see how and where it is distilled. For anyone heading to the city of Edinburgh, there is also the option of the Scotch Whisky Experience Tour in the Royal Mile – another all year round, 5 star attraction. Of course if you are heading further north there are many wonderful distilleries to visit on your travels….. Cheers, or as they say in Scots Gaelic – slàinte! May and June sees some vehicular fun in the Scottish Borders, kicking off with the ‘Border Bogie Challenge’ taking place in nearby Denholm on 25 May. If you don’t know what a bogie is, then perhaps the terms cartie or guider may be familiar? In any case, the organisers describe the challenge as ‘.. an insane, fast-paced time trial race down a hill on a typical rural country road, (which will have been closed to vehicles for the duration, obviously!) in a homemade bogie (or a go-kart )’. For information about entries and a full list of rules (wheels and brakes are obligatory!) visit the Border Bogie Challenge website. On Sunday 2 June, Thirlestane Castle in Lauder hosts the Scottish Borders 41st Historic Motoring Extravaganza while the Paxton House Vintage Car Rally takes place near Berwick-upon-Tweed on Sunday 23 June. 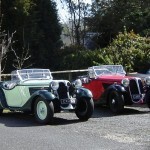 Being located next to the A68, or as we call it, the ‘uppy- downy’ road, a firm favourite with classic car enthusiasts, the Glenbank House Hotel often welcomes guests with vintage vehicles, wishing to make use of our private, off-street car park. If you are attending any of the upcoming motoring events, or simply wish to enjoy the fun of a trip on the A68, why not book your car a space in our car park (while you enjoy yourselves indoors)?